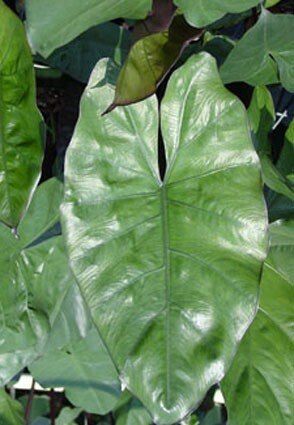 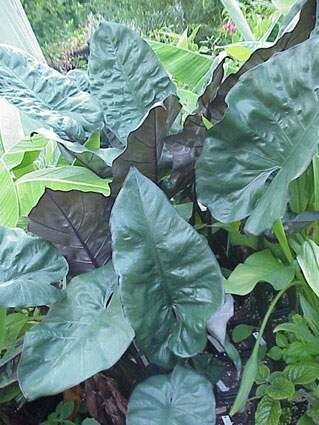 "Black Taro" Elegant polished, blackish purple leaves form handsome specimens; produces clusters of large ivory hood shaped spathes protecting the 8"+ spadix. 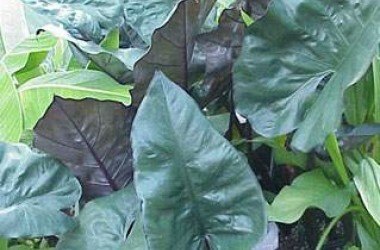 Very popular addition to the bog garden; trendy color for the urn fancier--especially those designing "Black Gardens." 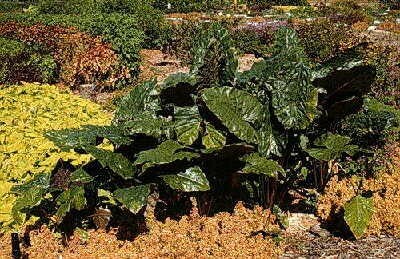 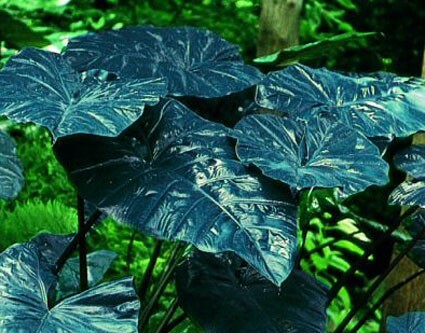 Not to be confused with the smaller, non-glossy "Jet Black Wonder" Colocasia.